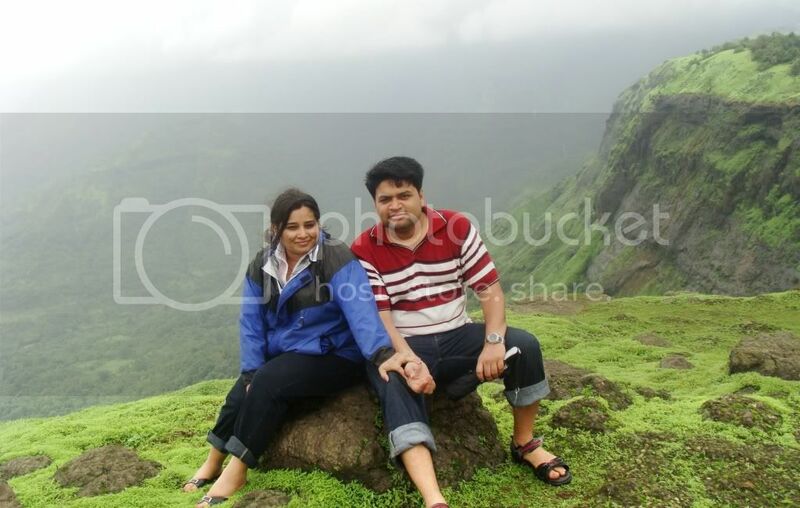 The destination for us was the highest point in Malshej Ghat - where a large flat plateau looks over the green steep walls of the Sahyadris and onto the plain below. 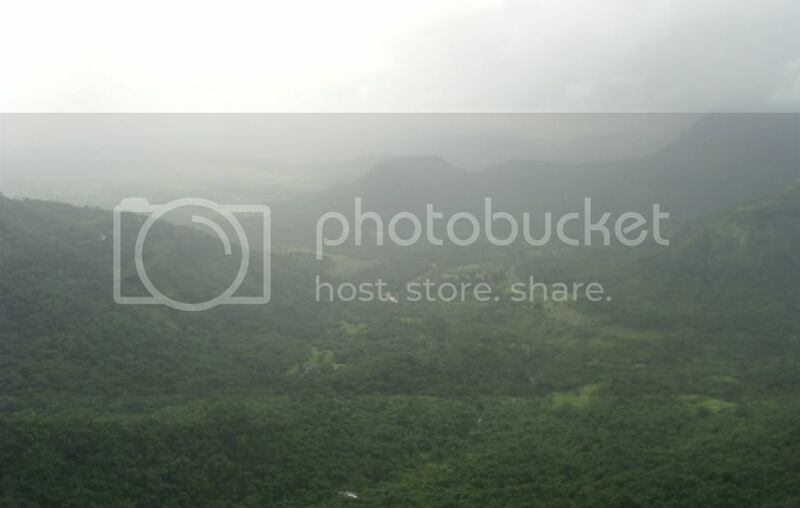 In the monsoons, when everything is under a bright green carpet, the views are fabulous. We had never seen clouds move so fast anywhere else before - valleys would become covered with fog and be clear as daylight in a space of a few seconds. And the reason for that is the super-strong breeze on the plateau/tableland. I am quite a heavy man - and a couple of times, even I got thrown off balance by the wind. I can imagine cats and dogs being literally blown away. The tableland is capped by a MTDC resort, which has about 20 odd rooms, but it didnt look like too many people stayed overnight. Most of the visitors are day-trippers, who come to enjoy the views, have lunch at the MTDC resort and then head back home. We did the same too - but we had two rooms booked at the MTDC resort just to be safe - in case we needed to change etc (we were 5 guys and 4 girls). The rooms turned out to be a good idea since it was drizzling on and off throughout the day and we could get into fresh warm clothes before we headed back for the long drive to Bombay. Also, the number of day-trippers is far more than what the MTDC restaurant can handle. Lunch time reminded us of the hostel mess rather than a restaurant - prepare to wait long to get a table and even longer to get your food served. And the food itself was very ordinary. So packed food like sandwiches isnt a bad idea at all. So views and the breeze are great, food not so great. Doesnt sound that exciting, does it ? You are right in questioning, why is this place famous? Well originally, the plateau used to be the stopping point for pink flamingoes (the same ones that come to Sewri mudflats every year) but I dont think any flamingo has visited Malshej in the last 5 years or so. 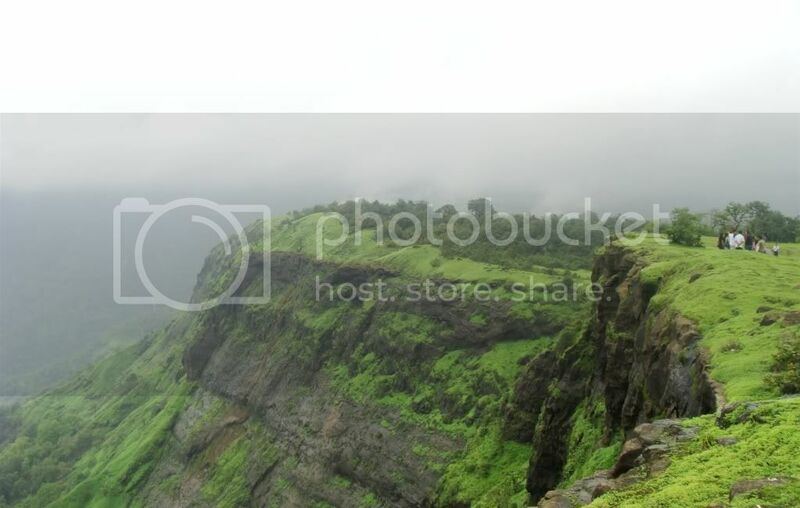 Malshej Ghat has got the brilliant natural views and climate to make a refreshing break from city life. 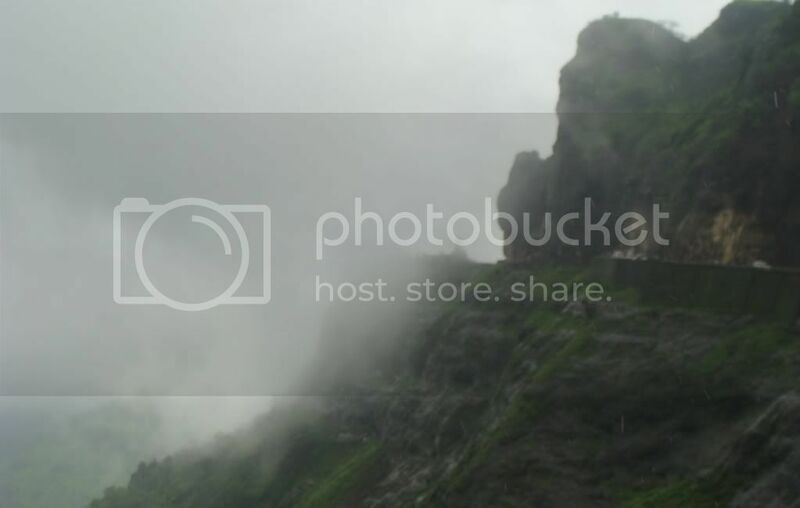 However, to our dismay it is also being overrun by the same crowds which you can see in Lonavala/Khandala. So it gets a wholehearted approval for a dekko, but with a disclaimer about the crowds. One suggestion, given by a friend, is to not stop at MTDC but to carry on forward for a couple of km on NH 222. On the other side of Malshej Ghat is the Pimpalgaon dam, and there are a couple of private resorts on NH 222 where you can sit and sip a beer, overlooking the dam below. I dont have more details, but it could be worthwhile to check out.